An ideal gift for cheerleaders, our durable nylon Eat. Sleep. Cheer cinch sack is 14" X 18" and can be used as a backpack or worn over a shoulder for a great everyday bag. 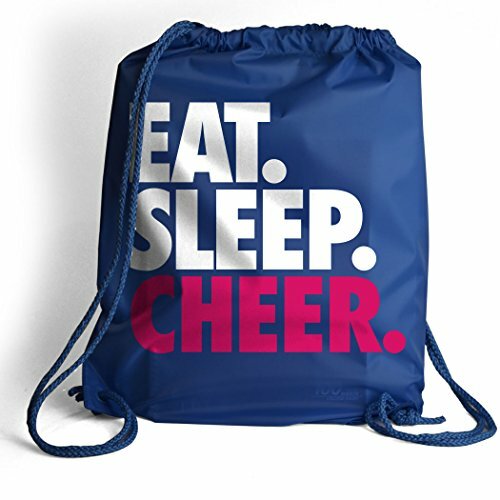 Made from durable nylon, it's perfect for overnight trips or travel, school, or carrying clothing and gear to and from practices, meets, or competitions, the bold cheer design is one that leaves no doubt about the priorities in the life of a cheerleader.